Selina is a trusted Marketing Director with over 20 years’ experience of strategic and tactical projects. She is a hands-on marketer with a meticulous problem-solving style who has led successful teams at board level in large organisations, worked with SMEs, family firms and with start-ups launching new companies and products. She is a great advocate of measurable marketing and understands that successful marketing is not just about creativity, but also deadlines, budgets and return on investment. 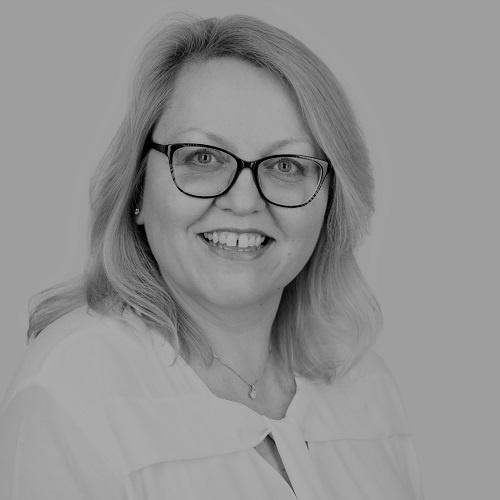 Selina has extensive national and international B2B marketing experience within manufacturing and engineering environments, agriculture, construction, property, transport and logistics, automotive and professional service industries. Managed a complex corporate and multi-product rebrand, as part of an acquisition and merger project. The brief included ensuring market clarity and minimal loss of market share during the first 12 months of trading under the new brand name. Responsible for creating and delivering a competitive positioning improvement project to solidify the company’s market position and meet 5-year growth targets. Launched products into the UK construction contractors market with the objective of generating sales leads and building a sales pipeline. 700 +leads were delivered within the first 6 months of the campaign with new business secured to the value of over £1 million in one contract alone. Created a fully integrated tactical marketing campaign to introduce a UK-based global logistics provider into the European construction industry, specifically the niche area of transportation of specialist heavy plant machinery. The primary objective was to gain critical mass, region by region, to develop a level of operational and market expertise to position the organisation above and beyond competitors. The secondary more long-term objective was to increase the equity of key brands to help maximise commercial opportunities and prepare the business for acquisition. The company was sold during 2016 and is now part of a larger logistics group.